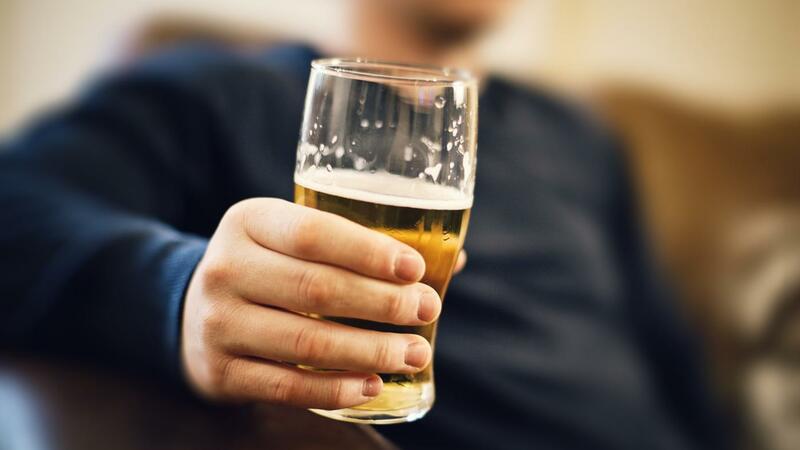 Have you ever thought, “Is it ok to drink alone?” How about, “I don’t have a problem, I only drink socially.” Or maybe you’ve considered, “I think my husband drinks too much.” Many people wonder how much is too much regarding drinking, drugs, and other habit forming behaviors like gambling. There is not a magic number of beers or a specific time spent in a behavior that leads to problematic use. A person could have one beer every day for the rest of their lives and not have a problem. A person could only drink on weekends or drink many beers with friends and still not have a problem. However, even though there is not a magic number of drinks that indicates decisively that you have a problem, there are specific criteria that can help you determine whether you are closer to a healthier use of alcohol, or on the other end of the spectrum of problematic abuse. To fully understand how much is too much, you first need to understand addiction. Addiction can be defined in many ways. In short, it is a compulsive need to do a habit-forming behavior that results in specific negative consequences. Addiction is a disease that inflicts well over 23,000,000 individuals. This disease not only affects the individual, but often times the family and friends of that individual. The friends and family are sometimes the ones who suffer more from the negative consequences. Addiction is also hereditary which helps explain why some people get addicted and others not. There are also numerous studies to show that there are specific brain changes in individuals that have an addiction which makes it harder for them to quit. How do I know if I, or my family member, has an addiction problem? There are specific criteria that would need to be evaluated by an addiction professional to fully and truly answer your question. However, here are some basic questions to ask yourself if you are wondering if you or your family member is suffering from an addiction. • Do you do the addictive behavior (use the substance) in larger amounts over a longer period of time than you intended? • Is there a constant desire or unsuccessful attempts to cut down or control the addictive behavior? • Do you spend a large amount of time doing activities having to do with your addictive behavior? • Do you have strong urges to do the addictive behavior? • Do you fail to complete what you need to do at home, work, or school because of the addictive behavior? • Do you continue to do the addictive behavior despite having problems caused by it? • Do you give up or reduce important parts of your life to do the addictive behavior? • Do you put yourself in situations that are dangerous because of your addictive behavior? • Do you continue to do your addictive behavior even though you know that it causes problems in your life? • Do you do the addictive behavior more often than you did in the past? • Do you feel physically or mentally bad when you stop your addictive behavior? If you answered yes to 2 or more of these questions, then it is a good sign you or your family member should get assessed to discuss treatment options. Can I just use willpower and strength to beat my addiction? Although there is a small percentage of individuals with an addiction that can quit on their own, the vast majority cannot. Most people have “that uncle” that just stopped drinking one day and never went back. That is great for “that uncle”, this kind of mindset can can prevent others from seeking treatment. Willpower and strength do play a role in fighting addiction, but are not enough. Most do not seek treatment do to a stigma that addiction is a sign of weakness, “because if one person can do it without treatment why can’t I?” Addiction affects everyone differently depending on your genetics, how you were raised, how you handle stress, how you handle boredom, and the specific addictive behavior. These factors play a role in why there are a lucky few that can quite on their own and why most everyone with an addiction need help. True strength comes from saying that you need help and seeking it. How is talk therapy going to help? Talk therapy can help you by developing skills to use in place of your addictive behavior, dealing with stress, staying committed to your goals, dealing with family/friends, and generally helping you feel better and healthier. Will a counselor just tell me I have to quit my addictive behavior forever or can I do it in moderation? It depends. To answer this question fully you will need to be assessed by a qualified clinician. Here at Waterford our compassionate clinicians understand your worries and will develop goals with you, not for you. What can I do if I am ready to seek help? Act quickly. Sometimes life gets in the way and we put off things that can help us be happier and healthier. Here at Waterford we would be happy to provide you with an assessment for treatment with a warm and understanding clinician. If you have procrastinated in getting help in the past, don’t put it off any longer! We’re here to help! What can I do if my family member has a problem with addiction? If they are ready to get help you can be supportive in helping them find a counselor and getting them into treatment. If they are not ready, you unfortunately cannot make them seek help. Here at Waterford we have many skilled and kind clinicians that can provide you with support and strategies to deal with your family member that struggles with addiction. And when your loved one is ready for help, we are here for them too!! To schedule an initial assessment, please call 630-898-5322.